You are forgiven if the name HMT is not immediately familiar. It merely means two things: 1) you do not live in India, and 2) you do not spend any time in the Watchuseek Affordable Watch Forum. * Lucky for you, The Time Bum is ready to take you on a virtual journey to Bangalore, where in 1953, the Indian government incorporated Hindustan Machine Tools (HMT). 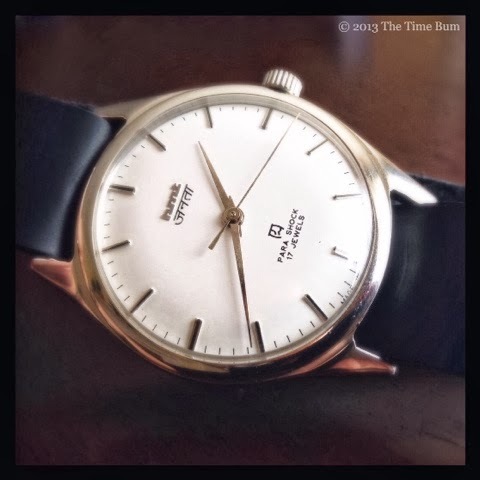 In 1961, HMT began manufacturing watches in partnership with Citizen of Japan. Since then, they have produced over 110 million of them. The HMT line now includes quartz and automatic watches as well, but hand wound models like the Janata and Pilot are most sought by watch nerds. The HMT Caliber 0231 movement used in these watches today is the same reliable Citizen 0201 built under license over 50 years ago. 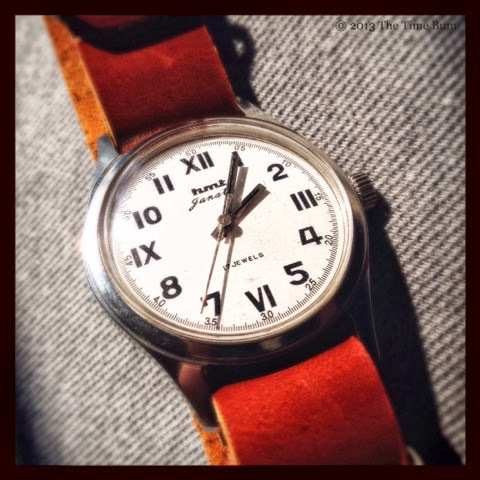 The hand wound HMTs are watches strangely lost in time. At 35-36mm excluding the crown, they are unfashionably small. The movements are antique. The designs are decidedly mid-century. Even their production methods are archaic. Many of the machines that produce the parts are themselves obsolete. Much is done manually. Mechanisms are assembled with patient fingers and illumination is applied with a tiny brush and steady hand. There are no robots in the factory assembly line, only trained human workers. This video from 1976 shows the process. It was outdated then, and remains unchanged today. Perhaps as a result, overall quality can vary greatly. The lume may not be within the lines. Debris may be trapped under the crystal. Stamped hands may not be cleanly cut or finished. 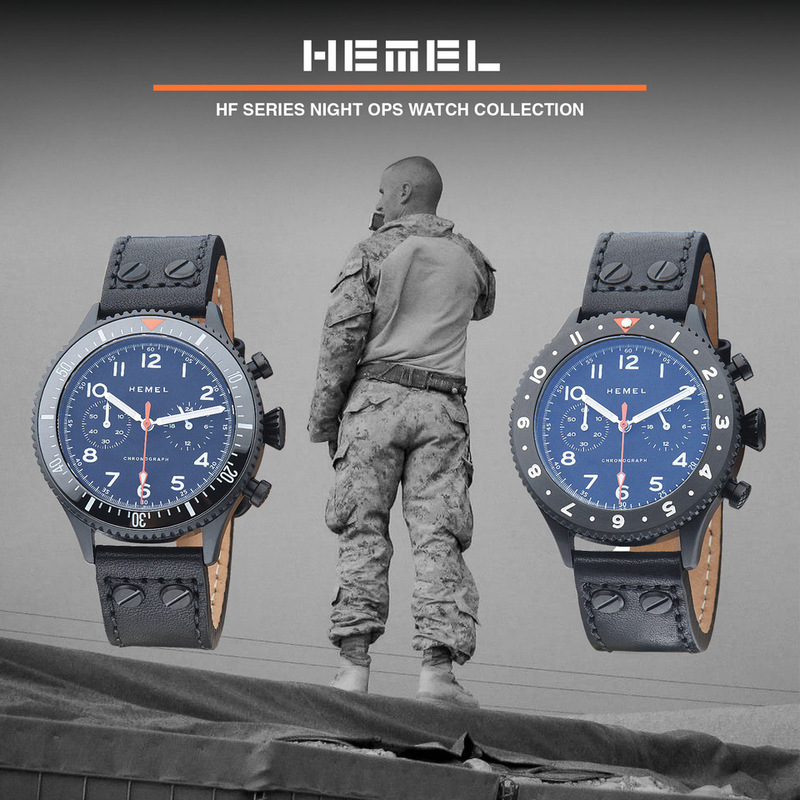 For price and type, the closest comparator I can imagine the American market is Timex, and while the occasional Weekender or Field Watch might have a speck on the dial or an uneven patch of Indiglo, they are models of manufacturing precision compared to HMT. Finding a place to buy an HMT used to be quite a challenge. They have an official website, but do not offer direct sales. There are a few trusted sellers on the watch forums and eBay who offer new, warranteed watches. 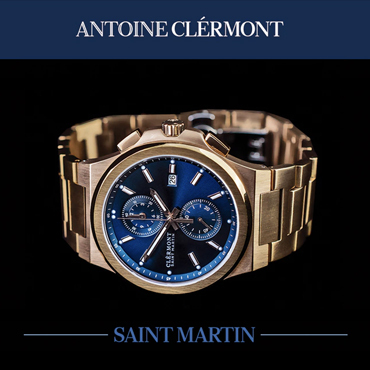 Most recently, HMT enthusiast Prateek Shujanya has launched HMT Watches Online. There are also a great many used watches for sale on eBay that have been restored or refurbished with "fantasy dials" in colors or designs never offered by HMT. Many are professional products, many are Frankenwatches assembled from spares, some are just plain junk. In this area, I can offer little guidance. Your mileage may vary. 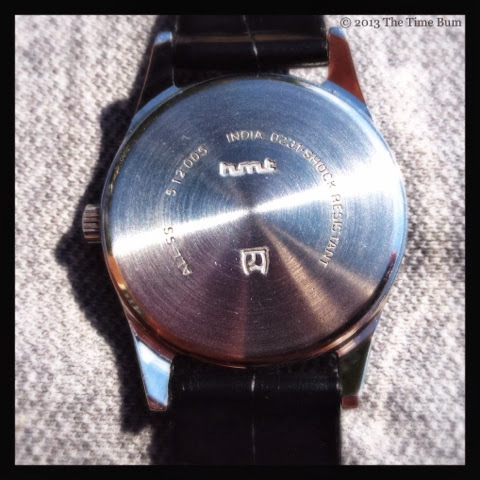 My initial experience with HMT brought me three very different watches. 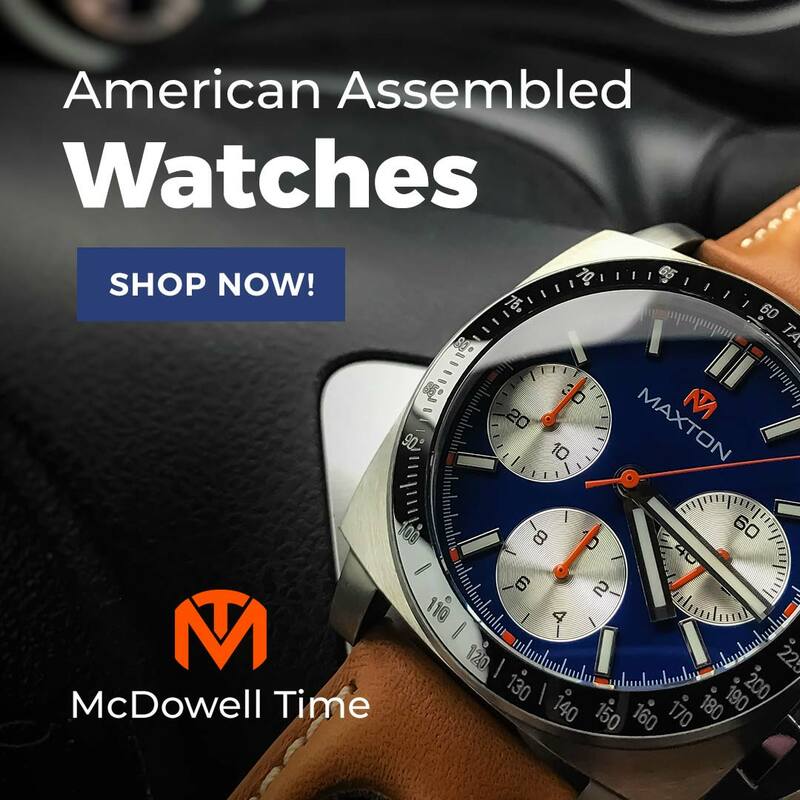 All three watches have polished stainless steel cases, domed acrylic crystals, and of course, the solid 0231 movement, but very different personalities. The straps are a particularly nasty, plastic form of leather, but this is an easy fix. NATOs with polished hardware in 18mm width are abundant these days, and as far as I'm concerned, strap swapping is part of the fun. The first was an old Janata I got from a fellow collector. Its dial had been repainted into a California variant with a combination of Roman and Arabic numerals. I have no idea where it came from or which of its bits might still be original, but it looks cool, runs fine, and cost me what I would normally pay for lunch. 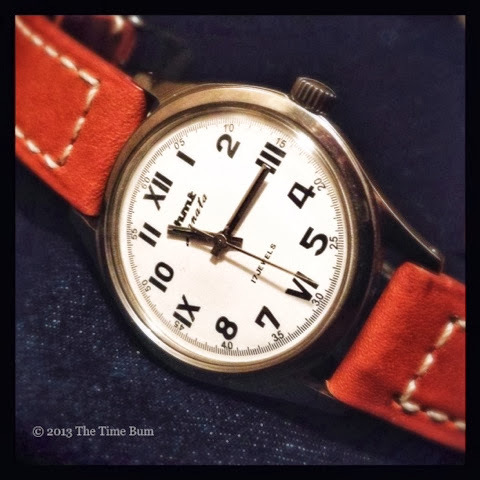 It is an eye catching piece on a saddle tan Crown & Buckle Silas, or their Rouille leather NATO, for vintage military look. 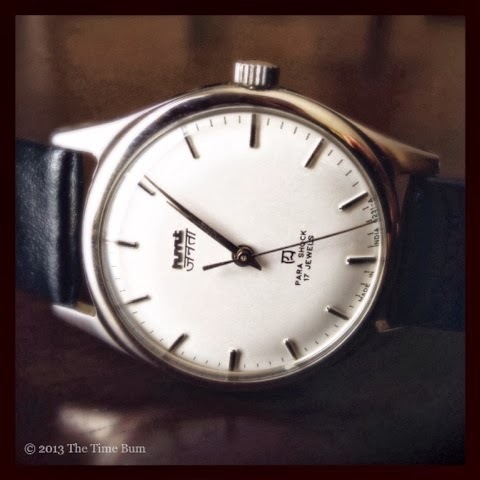 Another purchase was a lovely white dial Janata purchased new from HMT Watches Online with delicate applied markers that looks like something out of Mad Men, save for the Hindi script under the logo. The strap it came with was not the worst I have ever seen (that dubious distinction belongs to a Soviet era Raketa Zero) but was not far off. It now slips under the cuff of my business suits on a proper black dress strap pinched from a Movado Moderna. 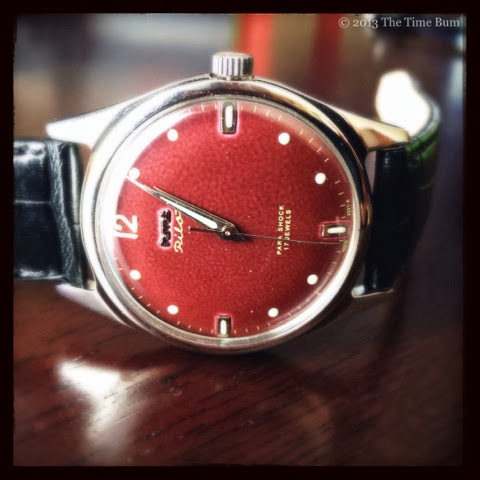 This model epitomizes the appeal of HMT. You can buy watches that are inspired by mid-century watch design, like the Uniform Wares line or the Nixon Mellor. 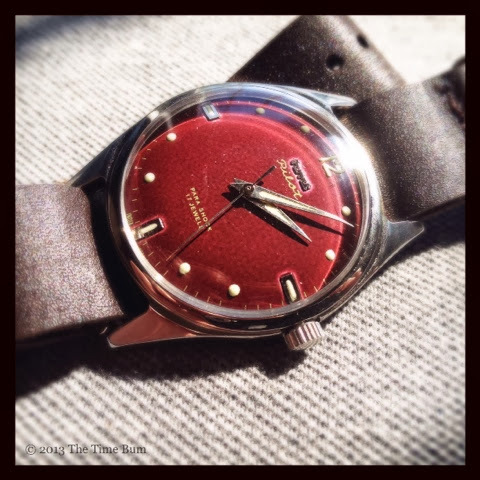 You can buy factory reissues of mid-century watches, such as the Sea-Gull 1963. You can even buy watches that have maintained the same modern design since their inception, like the Movado Museum Watch. 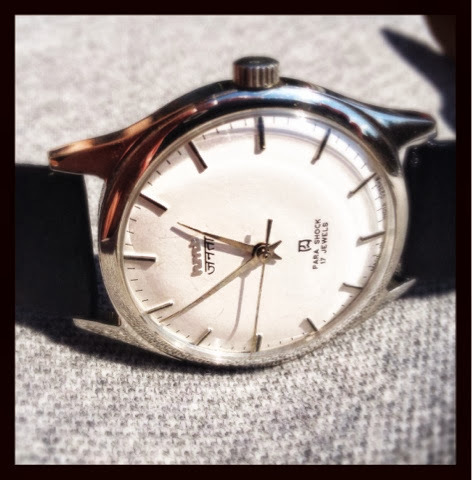 What you do not often find, is a vintage design, with a vintage movement, for a vintage price. 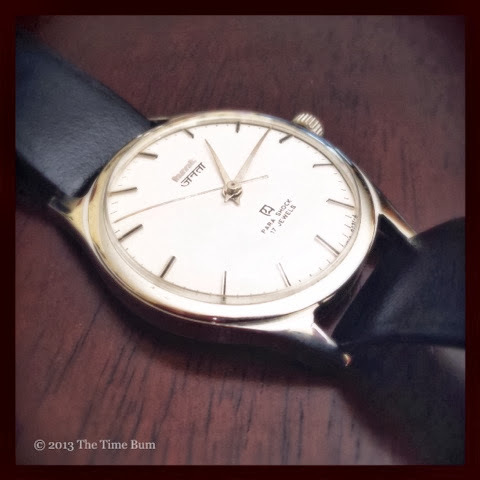 In 1963, a hand winding watch would cost about $45 at a department store, about the same as the Janata does today. I also bought a burgundy Pilot from another seller that arrived brand new in its factory plastic, but with dust on the dial, and a crystal scratched on the inside. I am no expert, but I'd consider that to be bit of a lapse in the old quality control. The seller is a stand up guy and would have certainly honored an exchange. I briefly considered returning it, but all the colored dials have the orange peel, and you can only see the flaws if you stick your nose right up to it, and I'd have to ship it back and wait, and was pretty cheap, and... Meh, I kept it. Maybe one day I will pry it open and polish the crystal, maybe I will let it be, but for $39, I am certainly not going to lose any sleep over it. 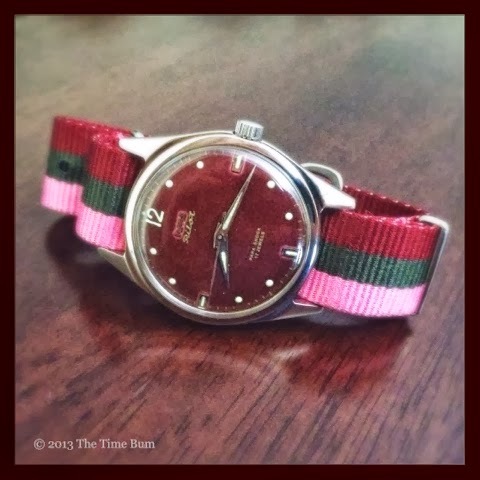 The grizzled Pilot looks like a veteran aviator on a coffee C&B leather NATO, but for a bold pop of color, I break out a lurid pink/green/maroon St. Edwards stripe NATO from Smart Turnout. So given their flaws, why on earth would one buy an obscure, archaic, cheap Indian watch? For one thing, they are obscure. There is some satisfaction in owning a watch that most people have never heard of and will likely never see again. For another, they are archaic. HMT hand wounds are not homages or reissues. They are brand new 1960's watches. Finally, they are cheap. The line of hand wound watches can be found for around $35-45. A particularly rare or desirable model might fetch $50. Used models regularly change hands for $25 or less. At these prices, why not take a chance? Pro: Cheap and reliable with mid-century design. Con: Haphazard quality control, awful straps. Sum: If you demand perfection, you should avoid them like the plague, but if you embrace cheap fun, retro design, and quirky charm, then this may be your new favorite watch. * The first is understandable. There are billions of people in the world who do not live in India and The Time Bum is one of them. The second is unforgivable, but easily remedied. 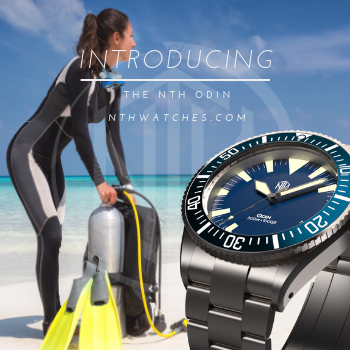 Anyone who is interested in this blog owes it to themselves to click onto the Watchuseek Affordable Watch Forum and enjoy the collective wisdom and camaraderie of its denizens (after you read my site, of course).